Should I get prequalified for a loan before I look for a home? Prequalification give you several advantages. It lets you know your total cost to buy a home and what your total payment will be. It will let you know what price range to look in and will give you leverage when making an offer to purchase. That is something you as a buyer must decide. If you choose yes then the home inspection will furnish you with information about the condition of the home. With this information you may be able to negotiate with the Seller to repair or reduce the price so you can make the repairs. Most all loans require a 640 credit score. But, there are loans that allow a lower credit score with more money down. The great thing is your Realtor can assist you with this. How much much do I need for a down payment? This amount will vary. There are loans that require no money down. Typically the least amount of down payment is 3.5% up to 20% or more if you choose to pay more. Your Realtor can introduce you to the Lender that best fits your needs. How long is the home buying process? If you are getting a loan from contract to close time will vary from 30 to 45 days. If you are paying cash from 15 to 20 days. If I am on a budget and selling my home, what should I do to get the biggest bang for my buck? The answer to this is Curb Appeal! Your curb appeal is the first impression a Buyer has of your home, and you know what they say about first impressions, you only get one. If your curb appeal says I am well kept, friendly and gives you a warm happy feeling then the Buyer will certainly want to come inside. Your Realtor can help you with this. There is no substitute for experience. An experienced Realtor understands the market, its values and how it works. 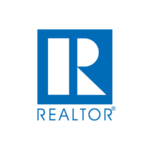 When using and experienced Realtor you will benefit the many connections with lenders, closing attorneys, home inspectors and more. An experienced Realtor is established and puts your needs above all else.